The Cardiff Australian Football Club is pleased to announce the senior coaching team appointment of Rowan Bilkey, Adam Clarke and Nicholas Tomlinson for the 2019 season. The innovative new approach to coaching was formed in order to combine the strengths of each individual coach to help deliver a strong coaching plan for the football club. Rowan Bilkey will act as “CAFC Coaching Director” and will work closely with both Adam Clarke and Nicholas Tomlinson to develop and help implement the senior coaching plan. Rowan is most recognised in the BDAFL community after coaching the 2018 BDAFL Rep Team that featured four Hawks, Nick Tomlinson, Tom Yensch, Jack Lennon and Marcus DeLeur. Bilkey recently relocated his family of six to Newcastle and is extremely excited to back involved with a club after finishing his distinguished career with Sydney’s East Coast Eagles in 2016. Nick Tomlinson joined the Hawks as a player in 2017 after relocating from Brisbane. 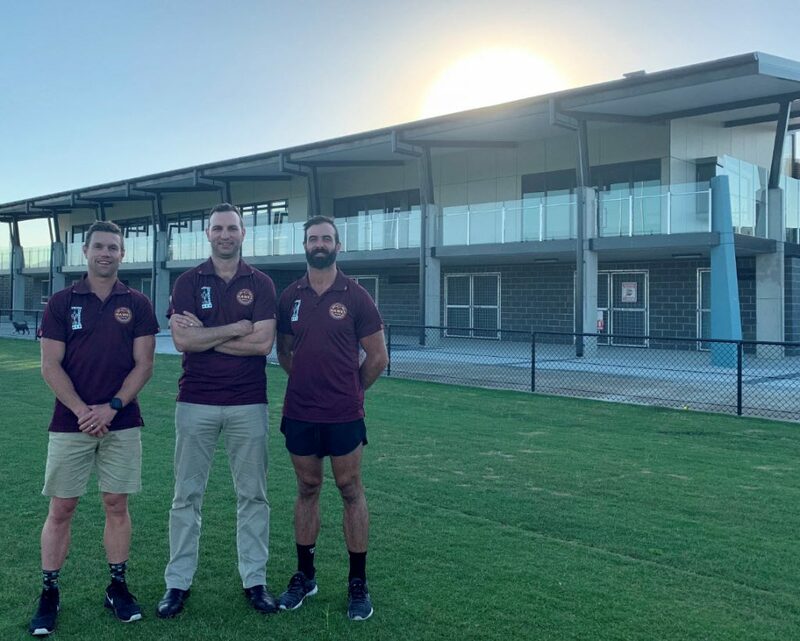 Nick has proven to be a valued senior leader of our club over the past two seasons, sharing his knowledge he has formed over his impressive career in Queensland for the highly successful QAFL Club, Morningside Panthers. Adam Clarke won three premierships, captained CAFC from 2004 to 2008 and claimed 3 Club Best & Fairest during his playing career. Adam has extensive experience in fitness, nutrition and leadership and is known to lead by example and brings a very strong work ethic to our club. Together, the three will use their complementary strengths to lead the playing group through the pre-season and into Season 2019. The initial review that’s already underway, will look at the state of the playing list and feedback given from senior players at the conclusion of the 2018 season, and from that, determine a style of play and game strategy they feel will give CAFC the best opportunity to challenge for the 2019 Black Diamond Cup Premiership. A Football Plan incorporating fitness, game sense, skills basics, mental and physical preparation as well as comradery and mateship will be created and executed between now and September 2019. Additional positive news is the club has reappointed Paul Cooksley as the Senior Woman’s Coach for 2019. Cookie made tremendous improvements with the ladies in 2018 and believes the potential of the group is extremely exciting heading into 2019. At last nights “Meet & Greet” players were informed our reserve grade coaching team will be announced in the coming weeks and the coaches reinforced a club inclusive approach to training. The Club is planning to start pre-season training the week starting 12th Nov with details being finalised. Further information will be provided within the next week.